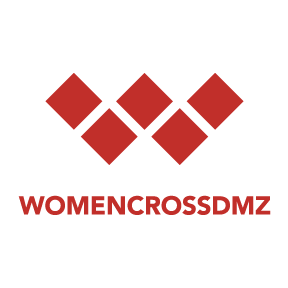 Women Cross DMZ is a diverse and driven collection of female peacemakers striving for resolve on the Korean peninsula. It is the foremost cross-field, cross-national organization, intent on bring an end to the conflict that has marred North and South Korea for the better part of the last century. Founded by the indomitable Christine Ahn, the co-founder of the Korea Policy Institute and the Korea Peace network, Women Cross DMZhas demonstrated a tireless resolve to end a conflict that has shaped one of the most notorious civil standoffs in modern history. From detailed coverage of diplomatic and political activity to marches and policy advocacy, Women Cross DMZ has centered its message on expanding and deepening the involvement of women in the pursuit of peace and to reunite families long separated by Korea’s division. Perhaps no event encapsulates the solidarity of its mission more than the march in 2015 that conceived the organization’s place as a broker in the struggle for peace. On May 24th, International Women’s Day for Peace and Disarmament, a collection of thirty international women peacemakers successfully crossed the 2-mile stretch of the DMZ separating the two countries. Ever since, their historic walk has served as a marker for fostering further links between the two countries. There has been some criticism at their perceived willingness to overlook some of the egregious flaws and human rights abuses carried out by the North, but with a steadfast organization of female activists from a wide range of backgrounds and political struggles, the movement has largely been praised for helping to navigate a path towards peace. With delegates including Gloria Steinem, 2011 Liberian Nobel Peace Laureate Leymah Gbowee and Mexican-American human rights Lawyer Erika Guevara Rosas, the diversity of Women Cross DMZ’s representation is vast and all-encompassing. This is not a niche representation of a localized issue, but rather a dynamic and influential contingent of women in pursuit a greater cause on the Korean Peninsula.